I get a lot of questions about how to Live, what to accept and internalize, what to fight for and what to defend. I think the best way to go about Life and living is to take it full-on, without compromise. Be excellent. You can practice excellence at any time. Excellence is a practice, a standard, and a standard of practice. Whatever the task, you can approach it with the goal of Excellence. Excellence is not the same as Perfection. I’ve done some considerable exploration with this in hundreds of conversations, and it seems that ideas and opinions of “perfection” are cultural. In other words, it’s likely that your idea of Perfection has been handed to you by the people in your sphere of influence: parents, family, teachers, mentors, coaches, and idols. Let’s take a closer look at this. “Perfection” means the same thing as “flawless.” Some people believe that this is an unattainable quality. Many religious people believe that only God is Perfect, and to aspire to that is egoistic, foolish, or sinful. A lot of people believe that perfection is impossible, so why bother to try hard? Why not just muddle along without going for the best that is attainable? I have observed that in just about every culture, nature is considered to be perfect, God is perfect, and the Universe is perfect. Fortunately, I don’t have to take on religious doctrine, your parents, or New Age adherents because this article isn’t about Perfection. It’s about Excellence. Let me take a stand for Excellence right now as I make my point. Excellence means doing the best you can do at any given time using what you have on hand. If you strive for excellence you are not striving for perfection. You are simply doing your very best, leaving nothing out, and insisting on attaining and achieving the highest quality that is possible in that moment. One common objection to Excellence is the perception that it requires more energy and effort. I can’t argue with that. It does. The real question is, Are You Worth It? Look at it this way: you benefit the most from your effort. You can train yourself to be excellent, do excellence, and have excellence all the time. If you don’t train yourself right now, why will you deserve excellent things later? No, if you want an excellent Life, practice excellence all the time. Don’t hold back. Be at your best. Some days won’t be as excellent as other days. Sometimes your excellent best will be different if you get a flat tire, illness, you’re an hour late, someone in your Life is hurting, and you ran out of clean underwear (and let’s not forget that most of the world’s population doesn’t have these “luxury” problems—there are such things as famine, disease, and severe oppression). In those cases, you will still strive for the best you can do and you will know that you did the very best you could do. Here’s another great reason to be excellent all the time: whenever you do that, you train your brain. Your subconscious mind can be trained to expect excellence because you demand it of yourself every time. It works! Trust me, I’m a hypnotist. The subconscious is where I do my Life’s work. I encourage this every day and it works wonders for everyone who follows my suggestion. 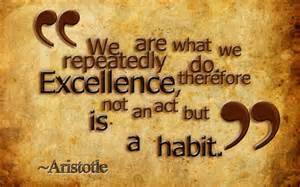 Take the extra effort, do it for you ~ Number One ~ and others will benefit from your excellence. Don’t let anyone stop you! Be unstoppable! There is nothing to add to this description of excellence. I say go for it! What have you got to lose, other than mediocrity? Previous Previous post: Can We Talk? 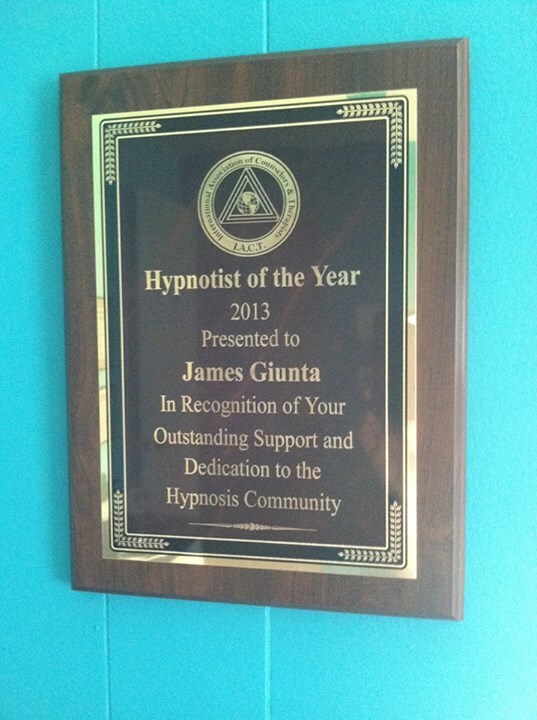 James M. Giunta has been interested in the mind, intelligence, and personal growth since childhood. 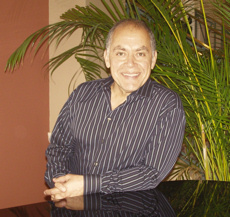 His motivation to continually improve his life and the lives of those around him, coupled with his strong desire to master personal development techniques, led him to hypnosis. As a Master Hypnotherapist, (M.H.) he remains dedicated to helping people to achieve their goals. The Monmouth County Hypnosis Cooperative!